It is 2019 and we are all looking to do more, spend less and achieve growth for our respective organizations. It is a great goal. So how do you do it? At Solimar Systems, we are always keeping an eye out for ways we can help our clients and partners leverage industry changes and promotions to do more with less. Especially, when it comes to the enhancement, management, and delivery of print communications through traditional print and mail channels. By now the print and mail space is aware of the USPS postal discount promotions. In fact, you might have already attended their informative webinar on the topic. And if you did not, have no fear, it is available to watch on-demand…and our experts here at Solimar can also help you understand what is happening and why it is important. Like in past years, the USPS is trying to promote the use of mail by offering discounts for utilizing different types of technology and tactics over a variety of mail types and periods during the year. Here is a link to the full set of programs offered. From our perspective, there are two programs where Solimar solutions can be directly used to achieve a 2% postal savings. Many of our clients might even have the software licensed that they need to do it too! These two programs include the 2019 USPS Emerging & Advance Technology and Personalized Color Transpromo promotions. 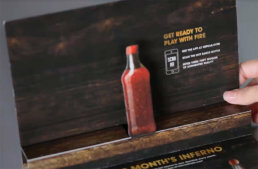 Taking a quick look at the Emerging & Advanced Technology Promotion, the key here is going to be to leverage Augmented Reality (AR) to gain the 2% postal savings for First-Class mailings. In 2017, a large telecom provider was able to do this with estimated savings in the Millions of dollars. If you look at your mailing mix, you can likely get a good sense of what a 2% discount would mean to your operation in short order. 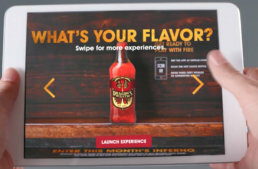 With the help of our Solimar Chemistry Platform and the Solimar AR offering, our clients can easily implement an AR experience that qualifies for the USPS discount and gives your group an opportunity to drive customer engagement and retention. Speaking of stats, the USPS presented in their webinar that 40M in the US used AR in 2017 and 54M are projected by 2019. Plus 73% are highly satisfied with their experience, which translates to a positive brand association with your organization or the ones you represent through your print and mail offering. AR is becoming sticky, let us help you discover the ease of implementation with the one-of-a-kind Solimar AR offering built for the type of communications you deliver and want to deliver. Moving on to the Transpromo and Personalized Color Promotion; this is not new to the clients we work with, but it still can be tricky. This program is limited to First-Class Mail commercial letters that are part of an IMb Full-Service mailing. Many in our print and mail business would consider this transactional mail, which is where the combination of transaction and promotion come together to form Transpromo. 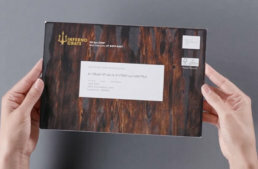 The key here is you need to have color onsert, or promotional message placed on the document, including in the mailpiece. You aren’t required to have images yet, but if you have participated in prior years, then you will need to also add personalization into the onsert design. However, this can be as simple and straightforward as using the recipient’s first name. Solimar has a long history of being able to take print files that are already composed (documents in the post-composition stage) and enhancing them with additional content through whitespace management and document reengineering. For most applications, any expenditure to add the capability needed to qualify for the USPS postal promotions is more than covered by the 2% of just one mailing…and most shops will be able to apply this to many mailings throughout the promotional period. 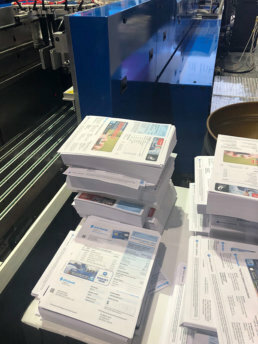 As experts in print and mail—including the ability to help people migrate to digital print technology like high-speed inkjet—we invite you to contact us, so we can help guide you to more savings, better processes and a goal-shattering 2019.